ORLANDO, Fla., -- Wyndham Destinations (NYSE: WYND), the world's largest vacation ownership and exchange company, has been recognized for its commitment to workplace inclusion by two distinguished national honors. The company was chosen as a Best-of-the-Best Corporation for Inclusion by the National LGBT Chamber of Commerce in collaboration with the National Business Inclusion Consortium. The company also received a perfect score on the 2019 Corporate Equality Index, the nation's premier benchmarking survey and report on corporate policies and practices relating to LGBTQ workplace equality, administered by the Human Rights Campaign Foundation. Wyndham Destinations' score reflects a commitment to LGBTQ workplace equality, with respect to tangible policies, benefits, and practices. 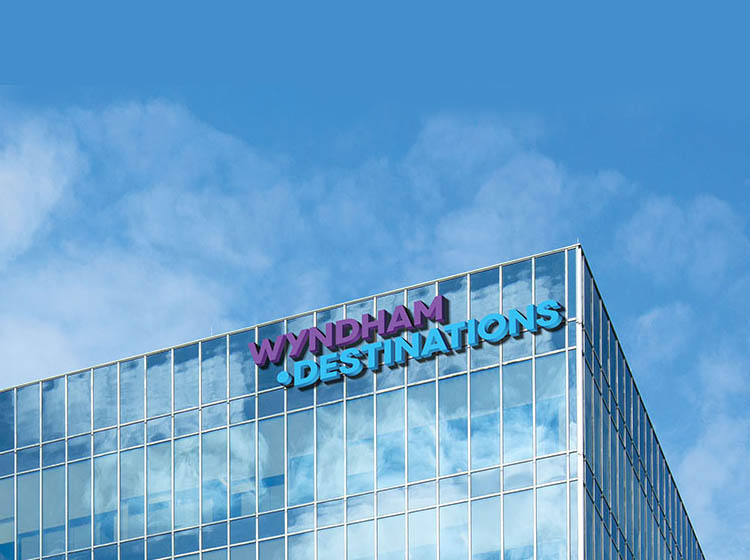 "As the world's largest vacation ownership and exchange company, Wyndham Destinations serves four million members and owner families every year by providing great vacations to customers around the world," said Kimberly Marshall, Wyndham Destinations chief human resources officer. "We recognize that diversity of thought, culture and expertise positively fuels the guest experiences we deliver and strengthens the collaborative operation of our workforce. We cultivate an inclusive and diverse environment enabling our global team of more than 24,000 associates to realize their full potential." A global supplier diversity program to increase the company's network of minority vendors and other diverse suppliers. Wyndham Destinations received a perfect score on the 2019 Corporate Equality Index (CEI), a respected benchmarking report on corporate policies and practices relating to the LGBTQ community, administered by the Human Rights Campaign Foundation. Wyndham Destinations' position as a champion of diversity and inclusion within its organization has also been recognized through awards such as Forbes' Best Employers for Diversity and DiversityInc's Top 50 Companies for Diversity.